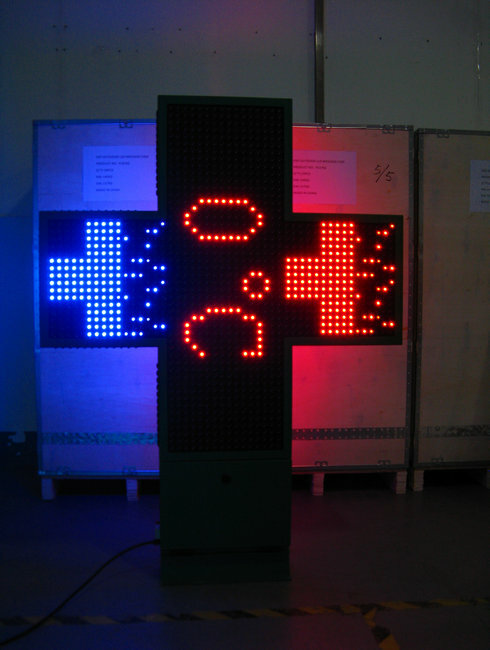 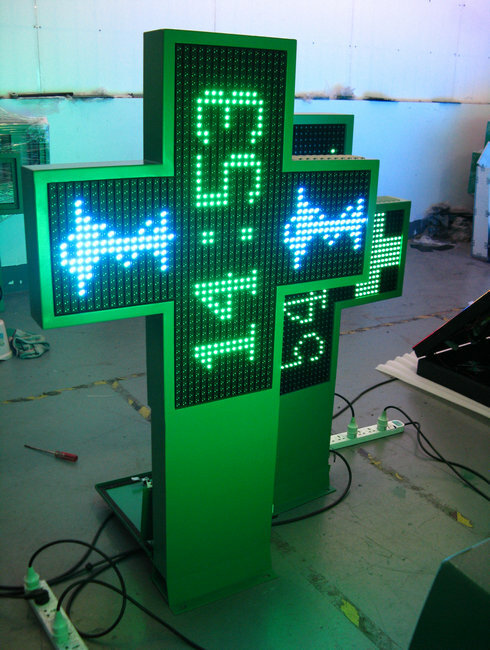 LED pharmacy cross is one kind of heteromorphic display consisting of LED cross modules and cross cabinet. The system combines with the technology of optics, microelectronics, information processing and transmission, mechanics and other technology etc. 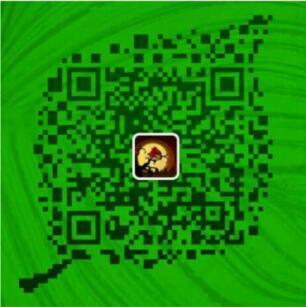 as a whole. 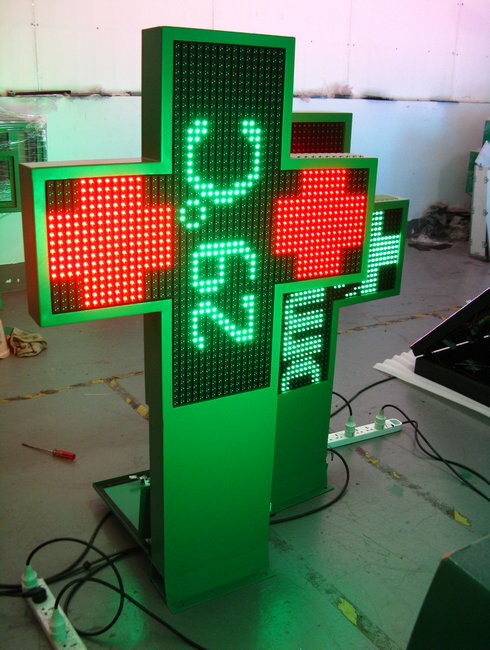 The main application areas: the chemist's shop, pharmacy, drugstore, Apotheke, farmacia, church, hospital and crossroad. 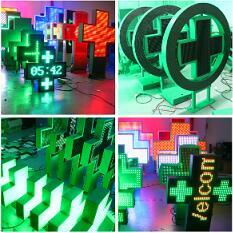 2) Good quality with two side display, remote control board change the display shape. 7) Other colors, sizes and one side available!